Those who have read my stories of A Room to Let in Old Aldgate and The Ghosts of Old London will know that I have become fascinated with the atmospheric detailed pictures taken by the Society for Photographing the Relics of Old London over twelve years from 1875, preserved in the archive at the Bishopsgate Institute. The original intent of these photographs was to record ancient buildings at risk of demolition, in the hope that their quality might be recognised and they could be saved. Most of the edifices portrayed in these melancholic twilight images were destroyed in the nineteenth century but, becoming familiar with these pictures, I recognised a handful that still stand today. So I decided to set out on a quest to find them and discover some Relics of Old London for myself. It was a suitably foggy morning when I set out across the city with my camera in hand, in the footsteps of Henry Dixon, William Strudrick and A. & J. Bool, the photographers employed by the Society. My intention was not to rival their exemplary works but merely to take look at these places today. 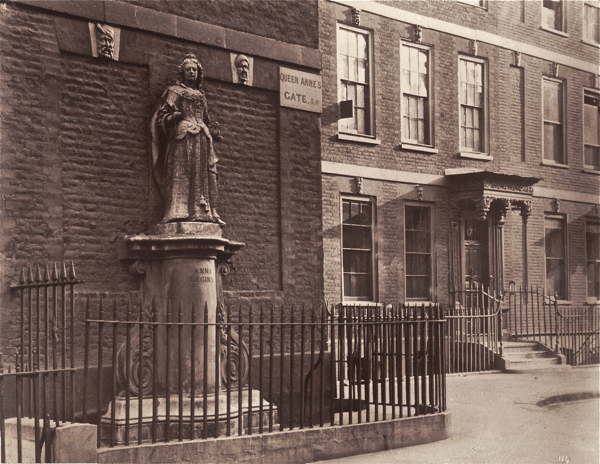 Starting at Queen Anne’s Gate, the most Westerly destination, I walked from one location of their pictures to another, making my way Eastwards back to Spitalfields, and passed a pleasant day in the process. 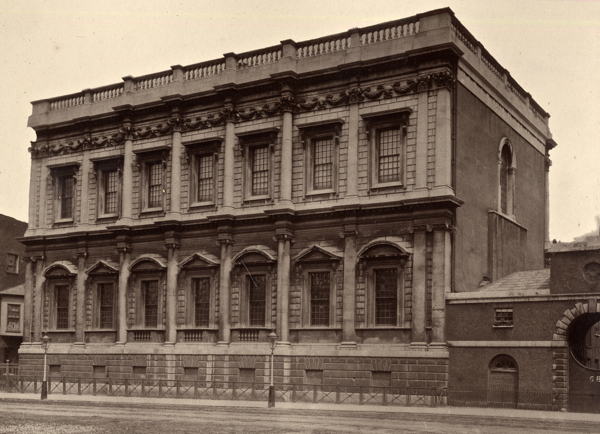 In Whitehall, Inigo Jones’ Banqueting House is surrounded today by buildings in a similar style, which makes me wonder if any passersby realise that it predates everything else in this street, as the lone fragment of the ancient Palace of Whitehall. 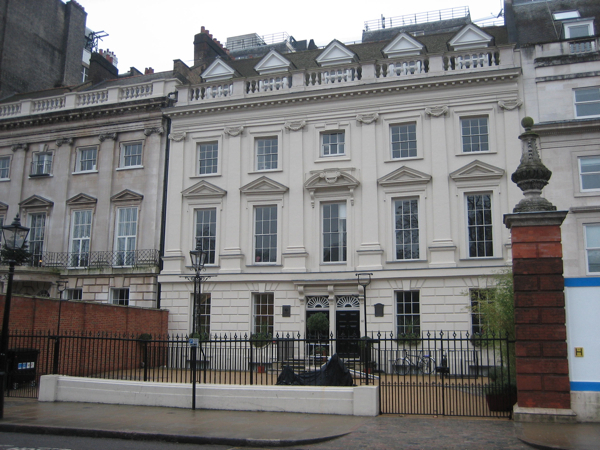 I recognised a similar phenomenon in Lincoln’s Inn Fields, where Inigo Jones’ Lindsey House is so spruce and clean it is almost indistinguishable from the copy next door, while Newcastle House, also dating from the seventeenth century but reworked by Sir Edwin Lutyens in the nineteen thirties, now looks like a modern pastiche. 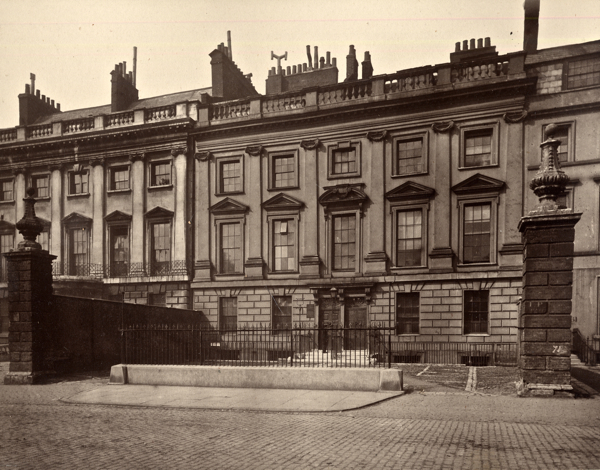 In fact, the whole of Central London has been mightily scrubbed up and little of the grime of ages deposited by smoke from coal fires remains now, and the airborne filth which supplied such dramatic patination to nineteenth century photographers has gone. Yet I have clear memories of how black all these buildings were until quite recently, and I recall Trafalgar Sq feeling like centre of a diabolic city when I first visited London and discovered the buildings entirely coated with soot. The outcome of this great clean up is that today the city no longer looks old as it does in old photographs, it has been polished up like new. 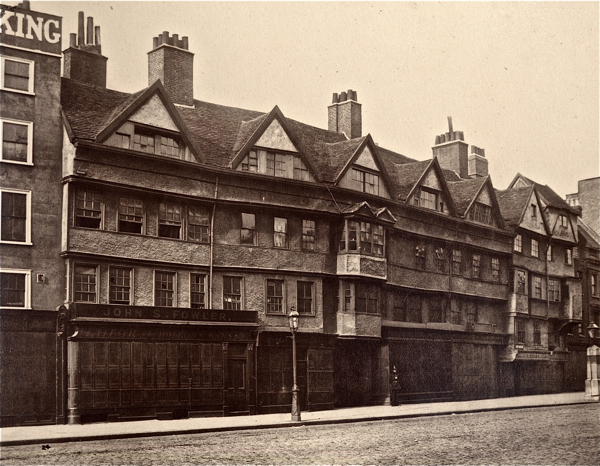 I had absurd experiences wandering around Fleet St, Clothfair and Bermondsey St looking for buildings I saw in the photographs which I believed still existed, only to discover they did not. Searching for the reality of pictures that had merged with my own memories, I was confounded. 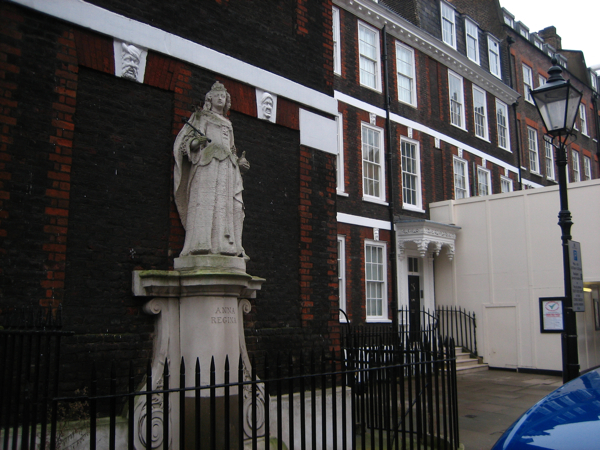 But there were other sites, notably Queen Anne’s Gate, Gray’s Inn and Charterhouse, where little had changed and I was rewarded by the delight of recognition from the photographs. It was a sentimental journey I made. 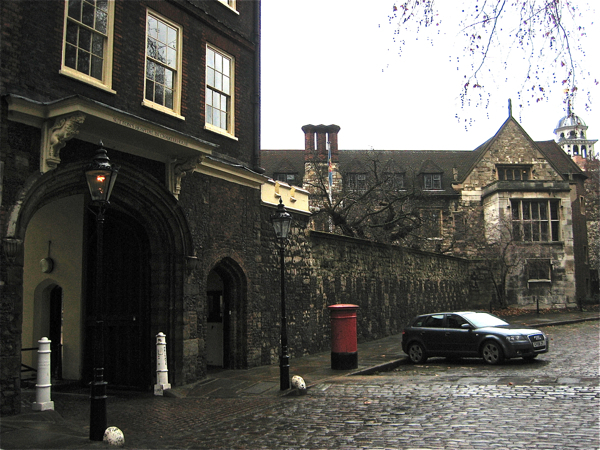 I knew that the man in the stove pipe hat at the entrance to Charterhouse was not going to be there to grant me a conversation, much as should wish for it, but I still wanted to go and look anyway. 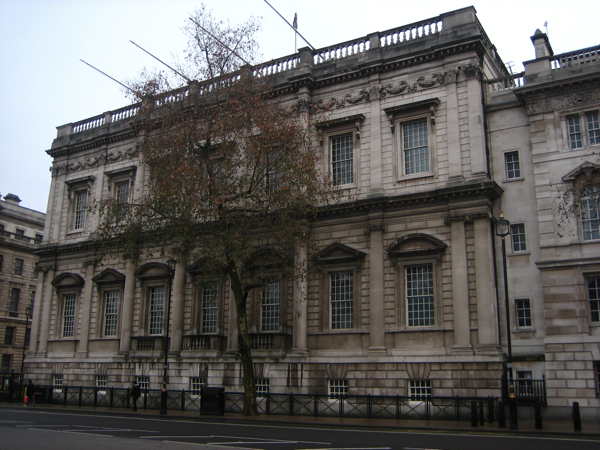 The Banqueting Hall, built by James I to a design by Inigo Jones and completed in 1622, is today all that remains of the Palace of Whitehall. 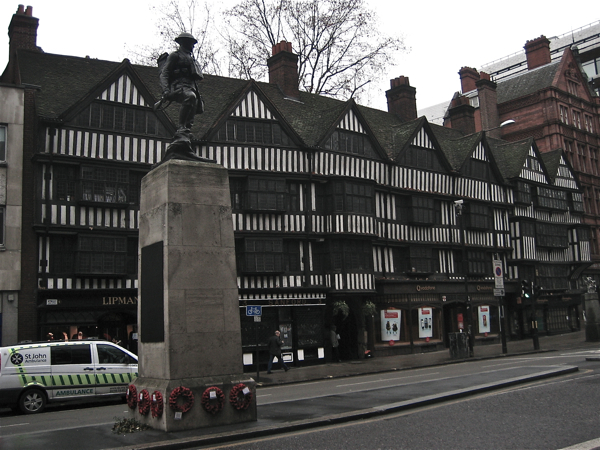 Charles I stepped from a first floor window onto a wooden scaffold where he got his head chopped off on 30th January 1649. 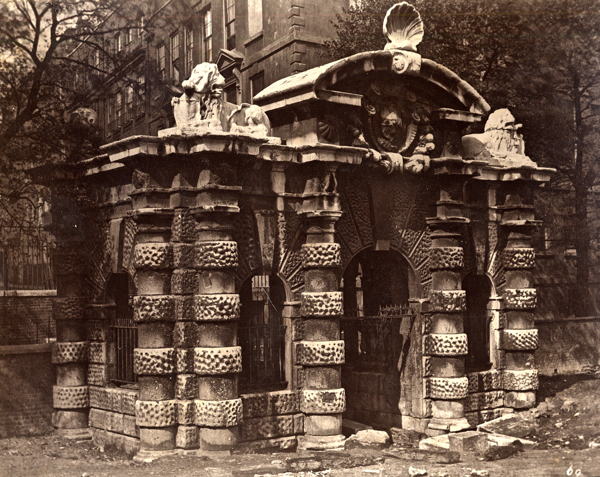 This water gate stood at the river’s edge, fifty yards from Samuel Pepys’ house. 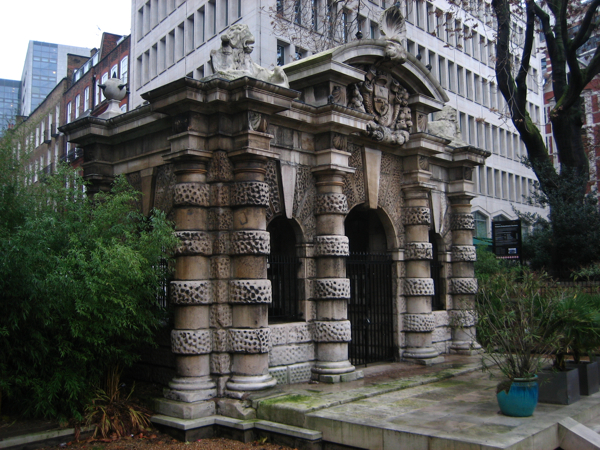 Built in 1626, as the triumphal entry for the Duke of Buckingham to York House, since the Victoria Embankment was completed in 1870 it has been marooned a hundred yards from the Thames. 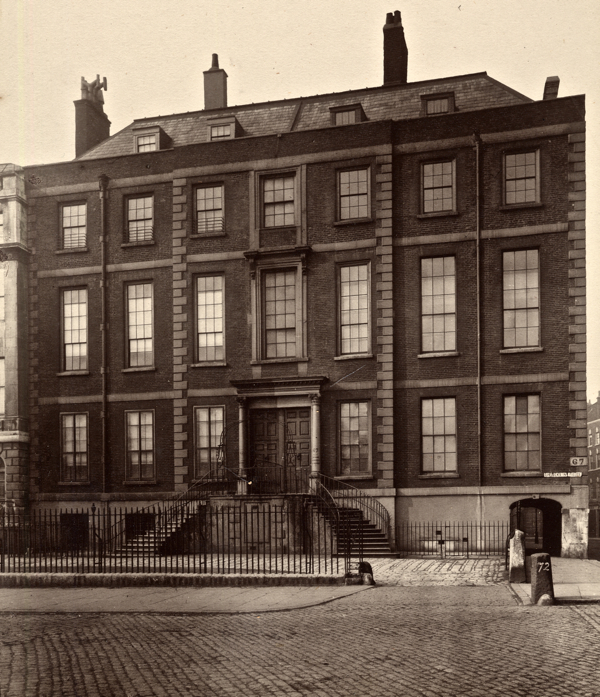 Lindsey House, built in 1640 and attributed to Inigo Jones, in Lincoln’s Inn Fields – it looked older in the nineteenth century than it does now. 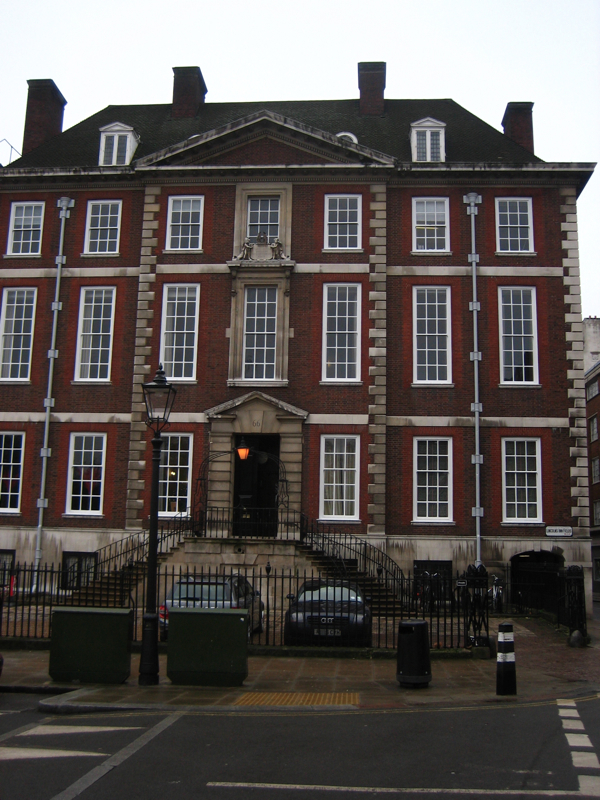 Newcastle House at the corner of Lincoln’s Inn Fields was built in the sixteen eighties and remodelled by Sir Edwin Lutyens in the nineteen thirties. 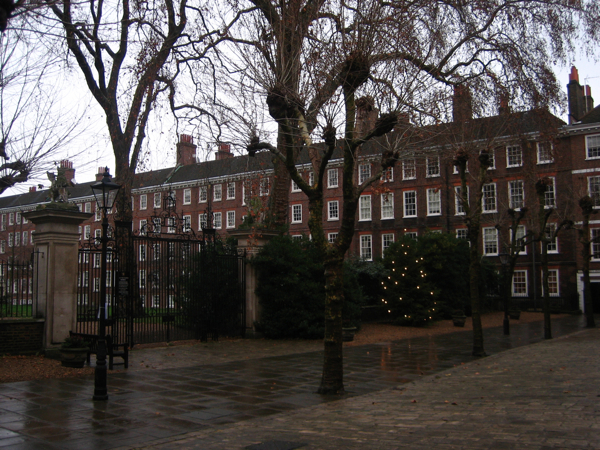 In Gray’s Inn, the Plane trees have grown taller. 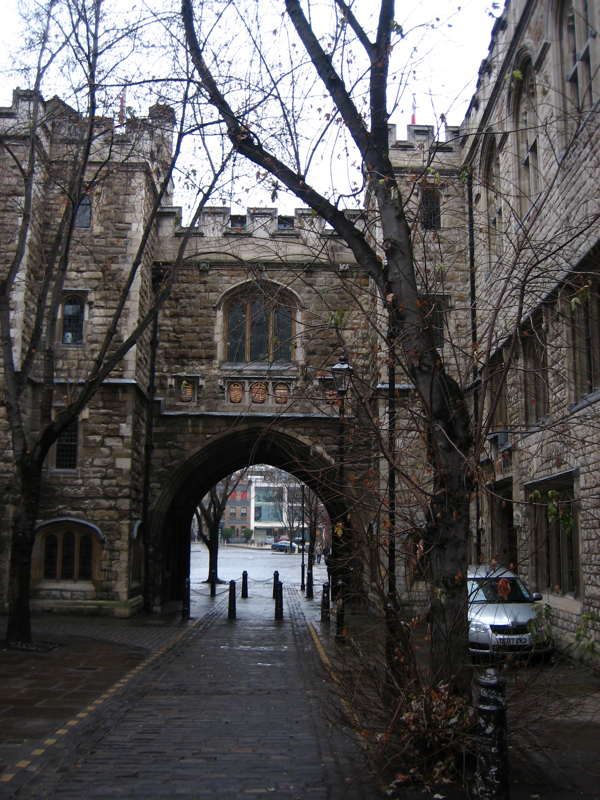 St John’s Gate, Clerkenwell. Built in 1504 by Thomas Docwra and restored heavily in the late nineteenth century. 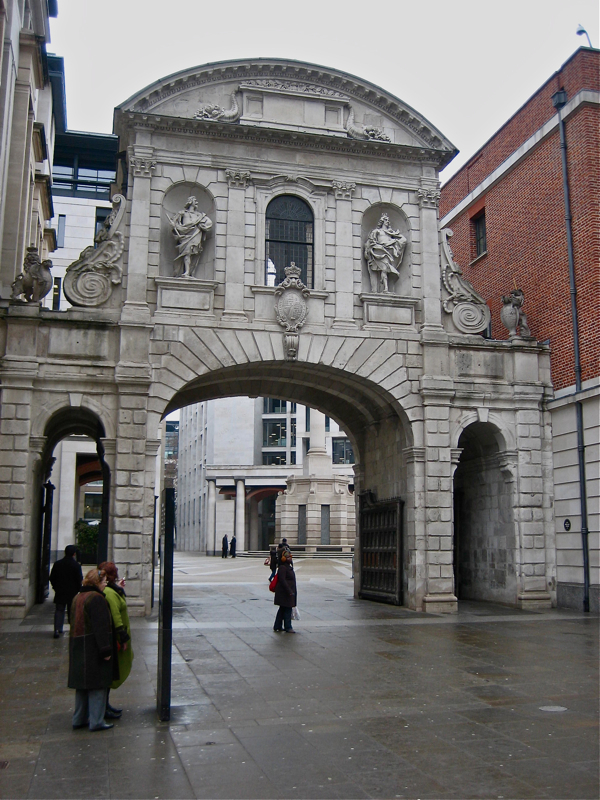 At the entrance to Charterhouse in Smithfield. 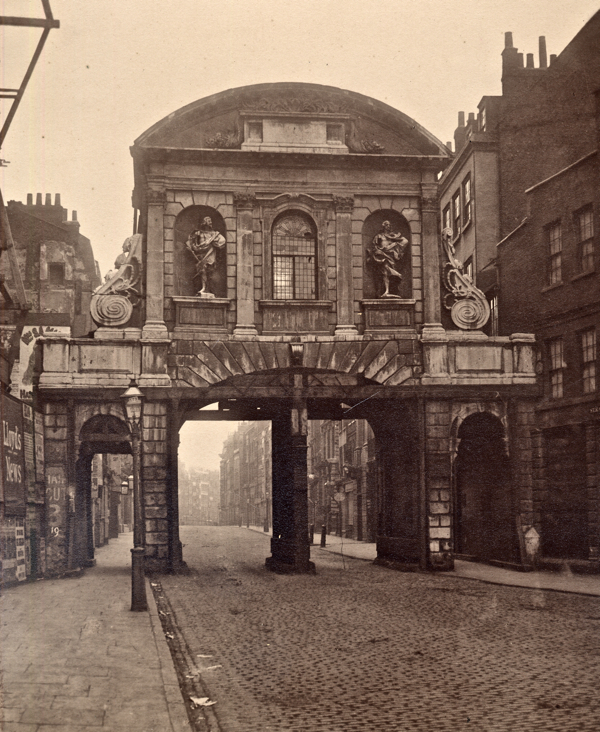 Temple Bar, designed by Christopher Wren in 1672, once stood in the Strand as one of the gates to the City of London, but it was removed in 1877 and languished in Theobalds Park in Hertfordshire until it was brought back and installed at the entrance to Paternoster Square next to St Paul’s Cathedral in 2004. 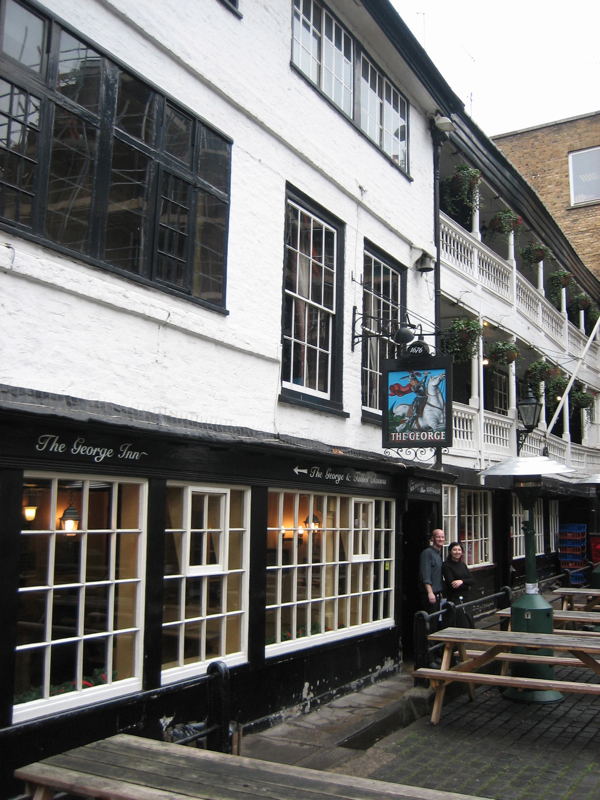 The George is the last of London’s venerable coaching inns – preserved today by the National Trust. Two of the bar staff obliged me by standing in the doorway in place of the couple in the earlier picture. These photographs illustrate what is so special about London, and other long-lived-in places. There are stories in each of the stones, and every street. Thank you for taking me on this tour from afar. Thanks for the comparison shots, they are really interesting. Fascinating juxtapositions. I tried something similar, photographing views of London painted by Canaletto. Another good photographic book is Lost London by Philip Davies. Have you noticed how many more trees there are in London nowadays? Cleaner and greener – maybe modern London’s not so bad! I hope that your images may be left with archive at the Bishopsgate Institute so that future generations can compare as you have done. Thanks again for your wonderful register of life. Readers may be curious to learn that the Bishopsgate Institute has taken on the role of copying all the stories in Spitalfields Life and binding them in a projected twenty-eight volumes upon the shelves of the periodicals reference collection. Additionally, any other material I discover in my researches, photographs and documents, is also deposited in their archive. But they’re all still so beautiful! Fantastic photos. Makes it much easier to visualise where my ancestors were from. Also extremely valuable to have the comparison from then to now. Absolutely fantastic set of of before and after images. I will have to hunt down that watergate. 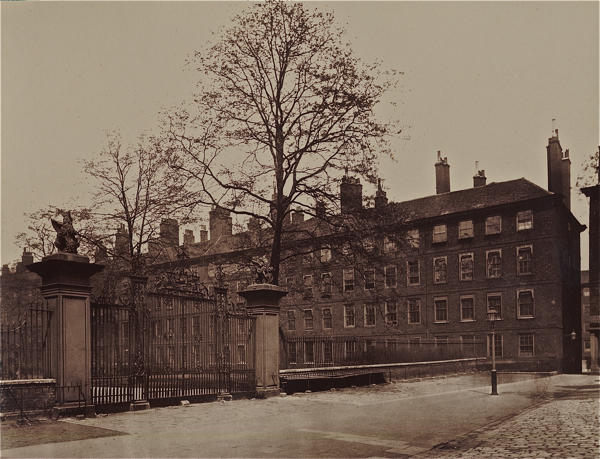 Fantastic photo collection and very nostalgic for me from my working days in the 1960s in Lincoln’s Inn Fields (no. 19) and thereabouts. When we discovered the water gate many years ago, it did seem marooned where it was. Now, I understand why. The plaque on the structure mentioned the Embankment, but this photo makes things so much more understandable. Thanks for the education! 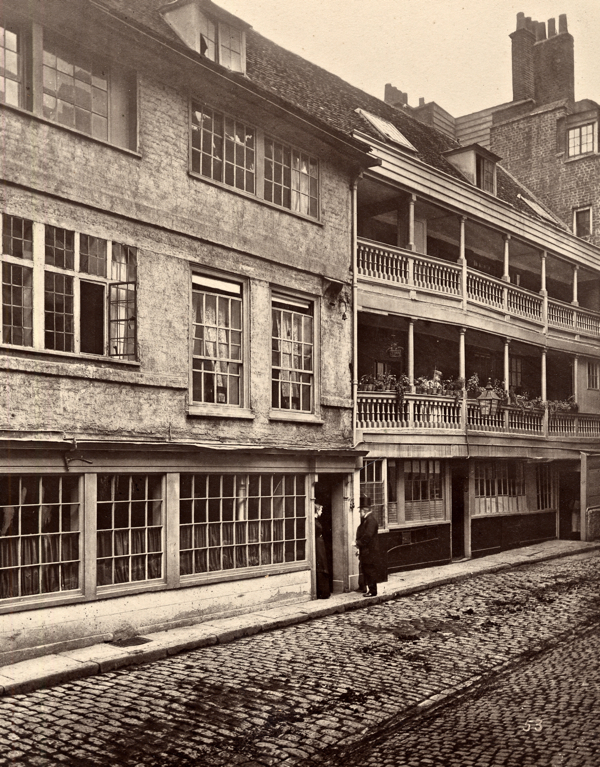 Excellent,wish though i could find more photos of Temple bar during its Theobalds days! !any one help me? Thank you so much for this amazing blog post! I love Then and Now comparisons, they’re so instructive! I had no idea how the Banqueting House stuck out. I have to say, thank goodness that the later buildings were so harmoniously designed to suit it! I for one am glad that London’s been scrubbed up, the soot is so bad for the stones. But it is really amazing to see how black everything really was. I mean, you read about it, but to actually see it, especially contrasted with the scrubbed up modern pictures, is to marvel at the sheer amount of work has been done in the last 27 years since I first visited London and took a picture of the corner of Downing Street, one side still black as could be and the other pristine and white from a good cleaning. very interesting…you do a wonderful job of bringing history alive . What a gift this is, thank you so much for compiling and sharing it! Thank you for your wonderful collection of photos. Absolutely splendid! Loved the pictures. I loved in London for a year and thoroughly enjoyed the city’s literary, artistic, and cultural heritage. Thanks once again. Amazing the difference colour makes. Colour is today, black and white is yesterday. What great photographs from so long ago. What an interesting article.I am amazed that so much remains after the blitz!Dont let Boris& his skyscrapers loose on these sites! Thanks for the great photos & history lesson! I remember seeing a few of these during a short stop in London in 1977. There is a book Lost London 1870-1945 Illustrated by Philip Davies with lost of nice old photos and history! it out on Google. Amazing fun. 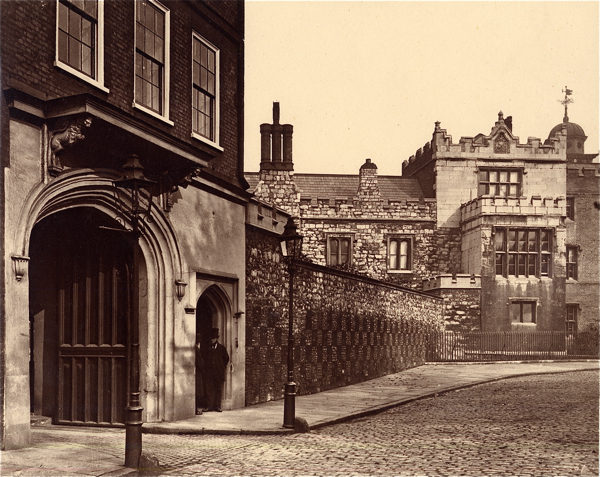 The older photo of Charterhouse shows it much cleaner than today, most atypical! Excellent work, more of these buildings and landmarks should be preserved, your photographs are superb. 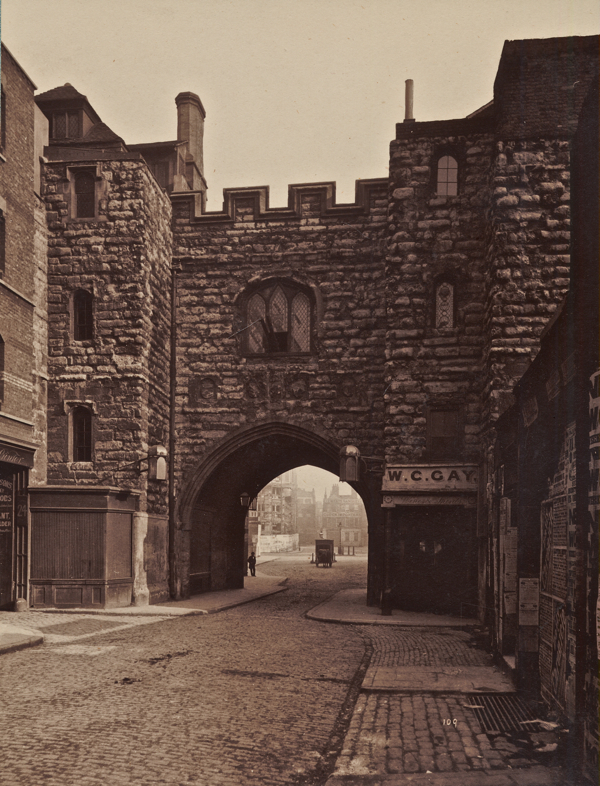 I recently purchased Lost London 1870-1945 by Phillip Davies, and it mentioned the Society for Photographing Relics of Old London, and a google search showed your website which I have found fascinating. What probably is the reason for love of old building in and around London, England, is for me fortunately where my grandfather’s family strolled in different eras… along old streets, staying in the inns, or waiting to emigrate to the USA… Seth was a topper which means about nothing to readers, but he was game and a mover of others, taking his wife pregnant with their first child on an old wooden ship and other family members to a new life hoping to keep what little he had in his bags and satchel?? ?